When I saw this recipe in the "Food Network Magazine July/August 2012” I had to buy the magazine. I modified the recipe a little because I always have cream and milk on hand but would have had to buy half and half, and I used regular cream soda. It was sensational. Myrna’s comment was “Who would have thought cream soda would make such a difference!” I think thawing the strawberries also helps. This recipe doesn't require any cooking either, which makes it pretty easy. Whisk the ingredients in a medium bowl. Churn in an ice cream maker. Transfer to an airtight container and freeze until firm, at least 2 hours to 4 hours. 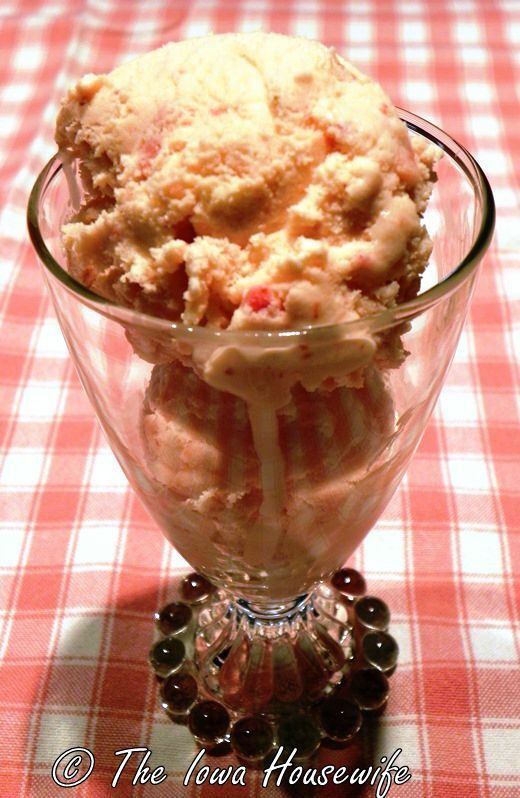 If using regular cream soda, add 2-3 drops liquid red food color to mixture before churning. If desired, coarsely chop 4 or 5 extra frozen berries in the food processor and add them to the mixture. Per Serving: 309 Calories; 16g Fat (46.5% calories from fat); 6g Protein; 37g Carbohydrate; trace Dietary Fiber; 62mg Cholesterol; 92mg Sodium. Exchanges: 1/2 Fruit; 0 Non-Fat Milk; 3 1/2 Fat; 2 Other Carbohydrates. Made this recipe over the holiday weekend for my family. Everyone loved it! I thought it was best right out of the ice cream freezer before it hardened in the deep freeze but either way it was a big hit! Yummy! I used regular cream soda since I couldn't find Big Red and I did need any food coloring as the mashed strawberries added enough color to make it a nice pink. Thanks!